Every role in sales is a different job. The end goal – bring in revenue – is the same. But the difference between the key performance indicators (KPIs) for sales, sales development and account management teams is distinctive. 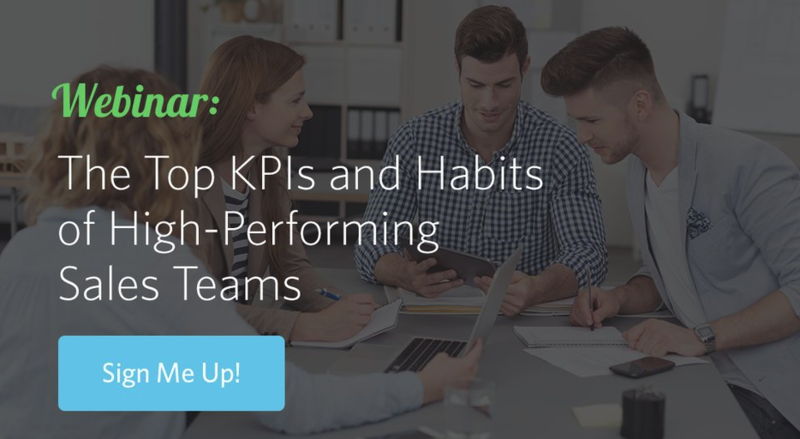 And you need to have different key performance indicators (KPIs) for each of those roles. Think about a football team. As the coach, would you just tell all your players on the team they have to go do the same thing to win the game? No! Everyone on the team has a different role, and those roles working together is what leads to a win. In the inaugural Sales KPI Report, we analyzed more than 1,500 sales KPIs used by sales leaders at over 100 sales teams and broke them down by selling role. Below are the the top 5 most popular KPIs for sales development, sales and account management, as well as some insight on why those fit the corresponding role. You’ll notice that calls and emails sent appear in all three lists. Opportunities created also appears in all three lists, but it can mean different things for each role. Measuring the number of touches with a prospect — whether it’s calls or emails sent — helps track rep engagement activity. And meetings scheduled shows how many qualified appointments they are setting up, which you can measure against the number of qualified opportunities the sales team accepts. Wins will always be a critical lagging metric for sales teams, but our research shows that sales leaders also value leading indicators for this role. The other important activities for sales teams include completing product demos and having meetings with prospects. Recently, our research has found that sales leaders are also focusing on more detailed metrics, such as number of ROI discussions or conversations with key accounts. Our research shows that sales leaders are focusing on opportunities created, like uncovering the potential for an upsell or cross-sell. But this comes from communicating heavily with your current customers, so you want account management reps on the phone and having meetings with them to discover those possibilities. Here are the most popular sales KPIs for sales development, sales and account management, as well as some insight on why those fit the corresponding role.